This salad gets it's unmistakable sweet salty crunch from caramelized shallots, an addictive staple in Vietnamese salads. 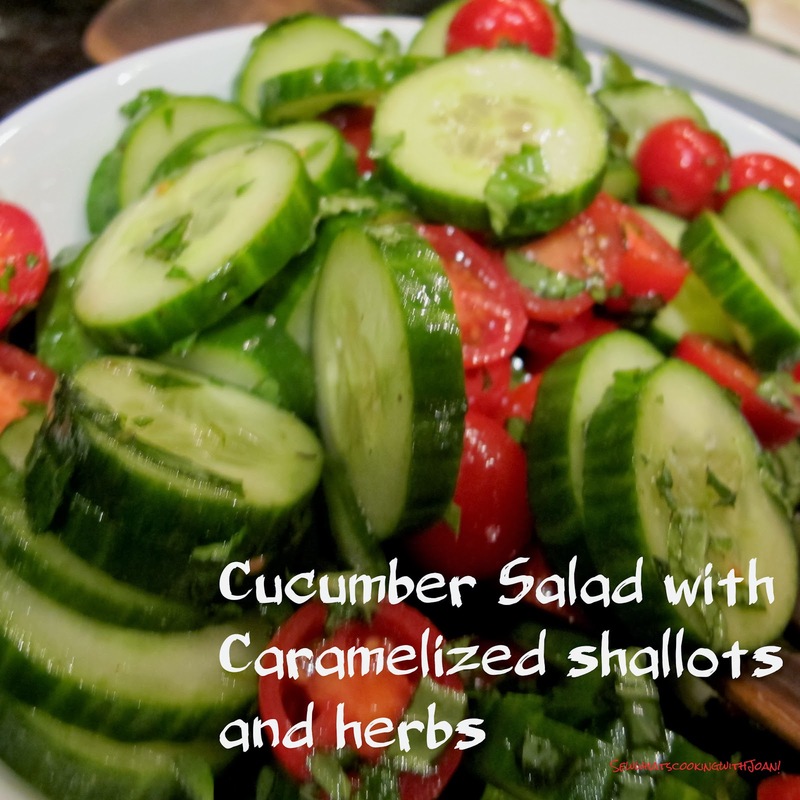 I am a cucumber kind of gal! 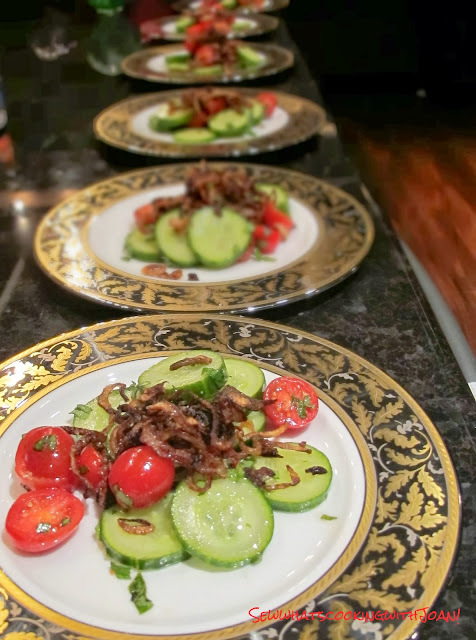 When I was growing up, my mom would make us Cucumber slices in cider vinegar, quite often. Our family loved it! I would run out to our large garden and pick the cucumbers fresh and ask her,"can we have the cucumbers in vinegar tonight?" Of course she always said, "Yes!" So, it is safe to say that I’m a cucumber kinda gal through and through. It runs in my veins! I've taken the tradition a step further today! 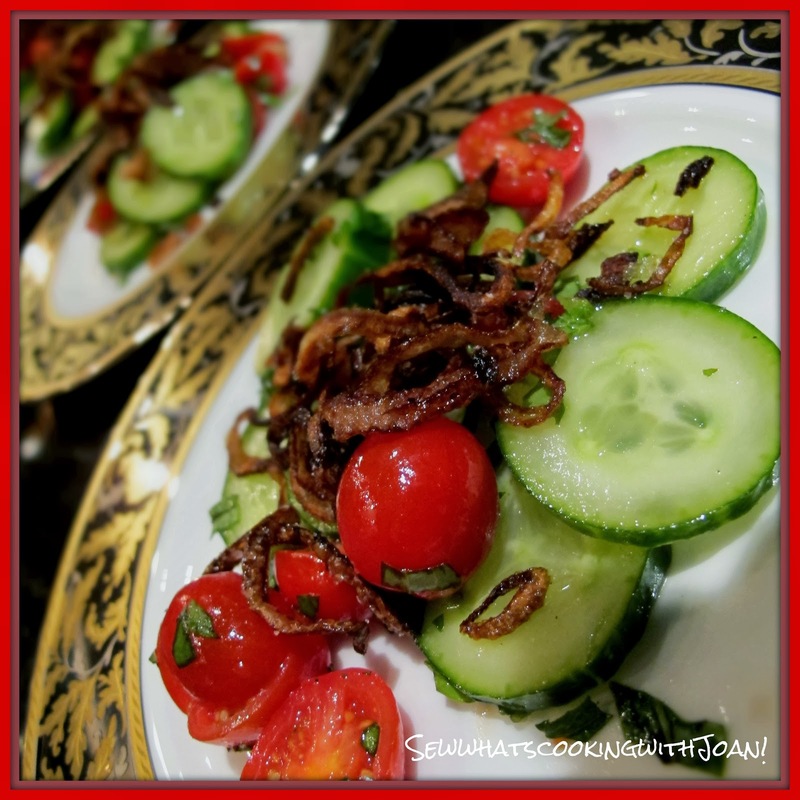 A few weeks ago in preparation for our annual Jamaica trip I whipped up a super refreshing and flavorful salad for family and you! Why? Well, clearly it’s because I love you and I love my family! Speaking of "Love", it's almost Valentines day and this would be a great first course, and set the mood for the evening! Toss shallot slices to separate them into rings. Lay them out on a baking sheet, spray with cooking spray and bake in a 450 F oven until crisp, stirring once or twice during cooking time. About 7-10 minutes. Make the vinaigrette by whisking vinegars, sugar substitute, lemon juice, 1/4 tsp. salt and 1/2 tsp freshly ground pepper. Together in a bowl until salt and sugar substitute dissolve. Add grapeseed oil and minced shallots and whisk well to blend. Season to taste with more salt, pepper and lemon juice. Add the Caramelized shallots right before serving! * You can make the shallots 2 days ahead. Also, if you are not worried about the fat and calories, you can deep fry the shallots in vegetable oil 8-12 minutes. From Ocho Rios, Jamaica! 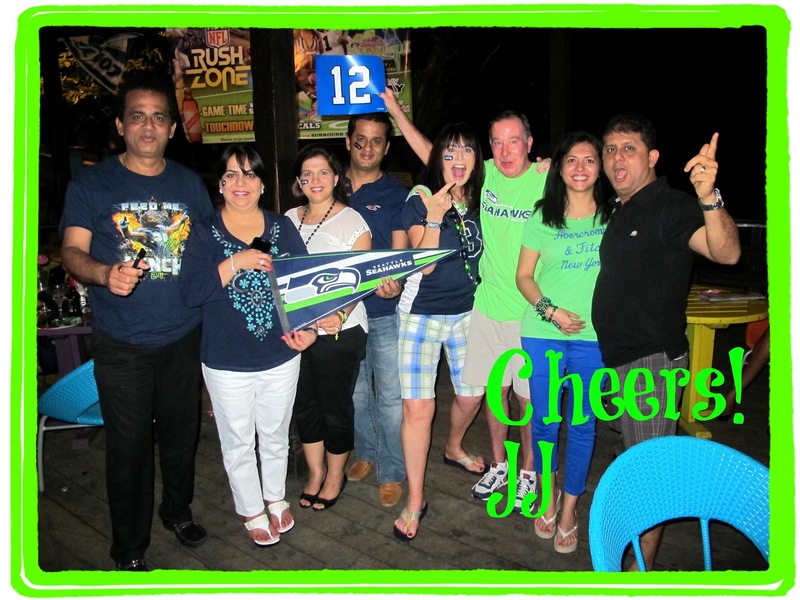 Congratulations to my hometown team Seahawks and us, the 12th man support team!! this looks yummy! hope u r having a blast! Hi! We are having a great time! thank you for commenting!